Providing your child with the highest standard of care also means making their braces and orthodontic treatment affordable. The cost may vary, depending on your son or daughter’s individual needs, the type of braces, and the orthodontic treatment plan. Our doctors and team will discuss these costs and each of your available payment plan options with you, so you can make the best possible choice for your child’s new smile. That’s $250 you could save, just for choosing us first. We work with you to create a financial agreement that fits your budget, and you will know what to expect before your child begins treatment. 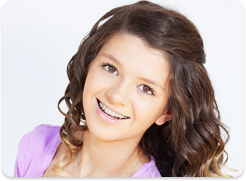 Furthermore, we offer low- and no-interest financing directly through our orthodontic offices. For affordable braces in Reading, PA, Camp Hill, PA, Harrisburg, PA, Bethlehem, PA, Schnecksville, PA, Schuylkill Haven, PA, Lancaster, PA, York, PA, Hazleton, PA, Danville, PA and Freeland, PA, call Spark Orthodontics. We are proud of our reputation for being a generous, flexible office when it comes to your financial arrangements. Many offices do not accept orthodontic insurance and therefore hold their patients’ parents responsible for collecting from the insurance company. Other offices ‘accept’ the insurance, but the doctor is not a participating provider with the insurance company. As a result, your child is unable to receive the maximum benefit of your insurance plan (i.e., a lower or “capped” treatment fee with greater insurance coverage). At Spark Orthodontics, we are committed to helping you maximize your insurance benefits. To that end, we proudly participate with many PPO insurances to ensure that our patients receive the highest possible service and care at the lowest possible cost per treatment. We are happy to do a complimentary check of your insurance benefits at the time of your child’s Spark Smile Assessment. Then, in the unlikely chance we do not participate with your insurance provider, as a courtesy we will file your claims so you don’t have to worry about any paperwork! Our PA orthodontic offices accepts payments by check, Visa, MasterCard, and Discover. We offer low- and no-interest financing options with the lowest monthly payments of any other orthodontic office in the PA area. Depending on your circumstances, you can pay as little as 0% down and enjoy low monthly payments for up to 5 years. Ready to make an appointment for your child’s free Spark Smile Assessment? Please contact us at 610.865.2777 or simply click here. 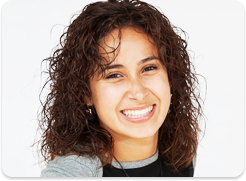 Ask about our unsurpassed, smile guarantee on braces and orthodontic treatment!